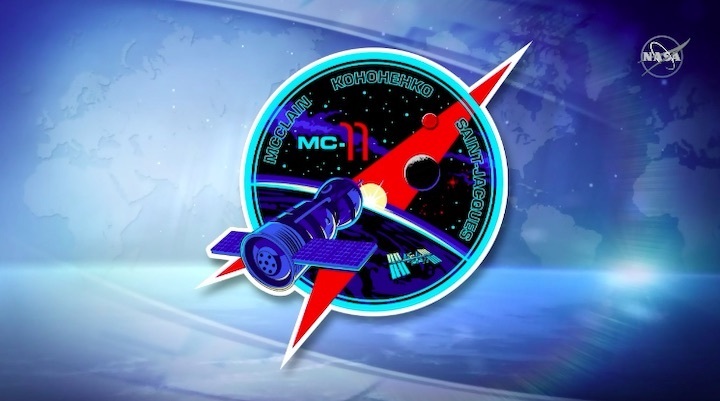 Manned spacecraft Soyuz MS-11, due to be launched from Baikonur on December 3 with another expedition to the International Space Station, has passed vacuum tests, the space rocket corporation Energia (the spacecraft’s designer) has said on its website. 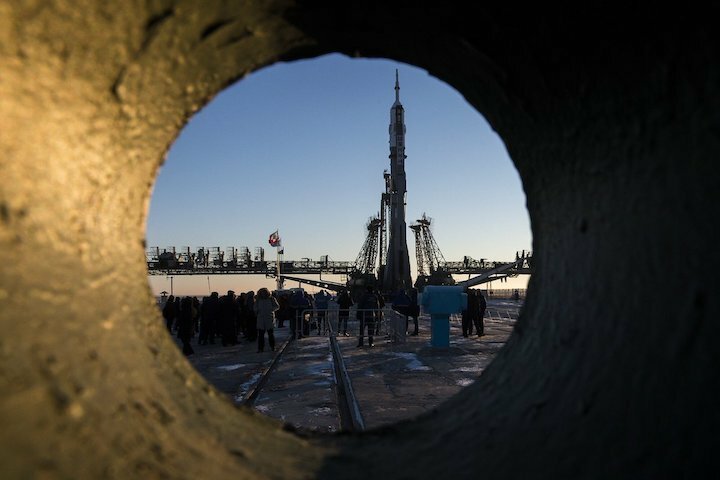 The Center for Ground-Based Space Infrastructure Operation announced a tender for insuring risks for Soyuz-FG rocket launches with Soyuz MS-11 manned spacecraft to the International Space Station (ISS) and docking to the station, according to the public procurement website. 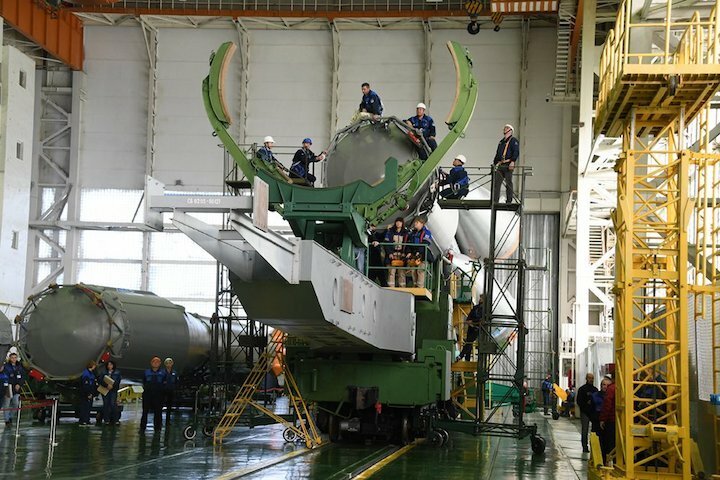 The insurance coverage will reach 4.786 bln rubles ($72.86 mln), the initial contract price - 344.653 mln rubles ($5.2 mln). 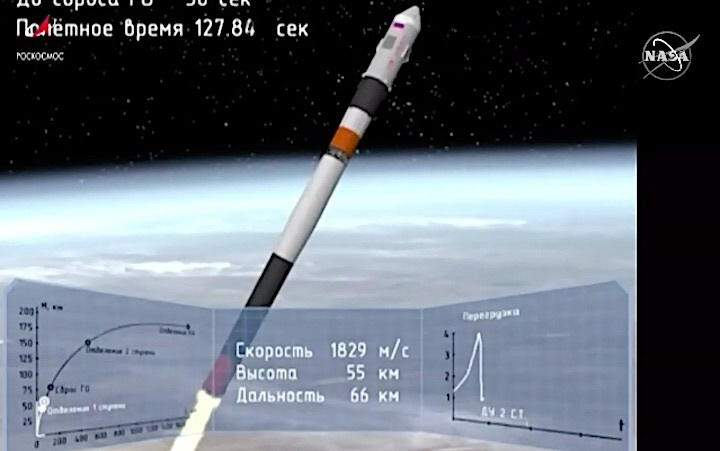 Head of Russia’s space corporation Roscosmos Dmitry Rogozin said earlier that Russia’s commission on manned space flights has approved the launch of a Soyuz MS-11 manned spaceship with a new crew to the International Space Station (ISS), which is scheduled for December 3. 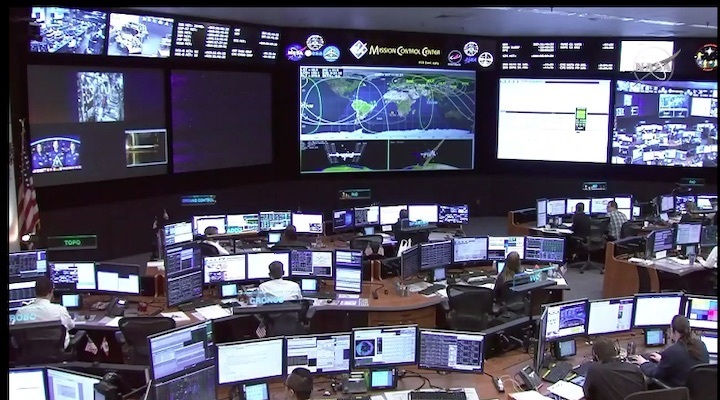 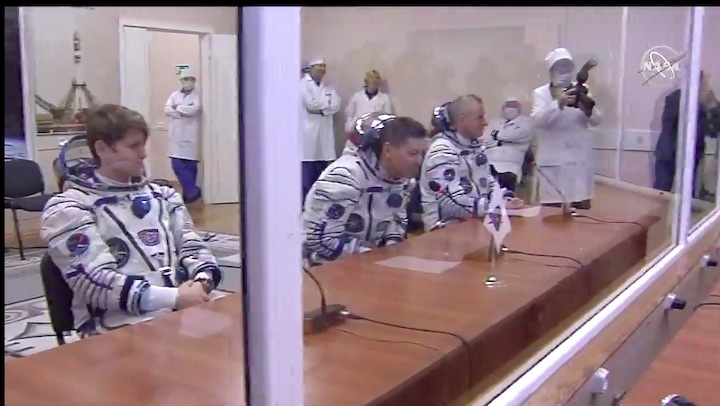 "The commission on manned space flights had a meeting yesterday. 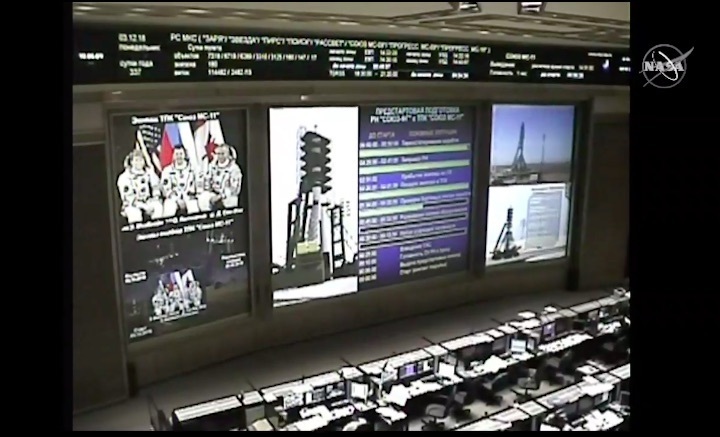 We decided to approve the launch of the Soyuz MS manned spaceship on December 3," he said. 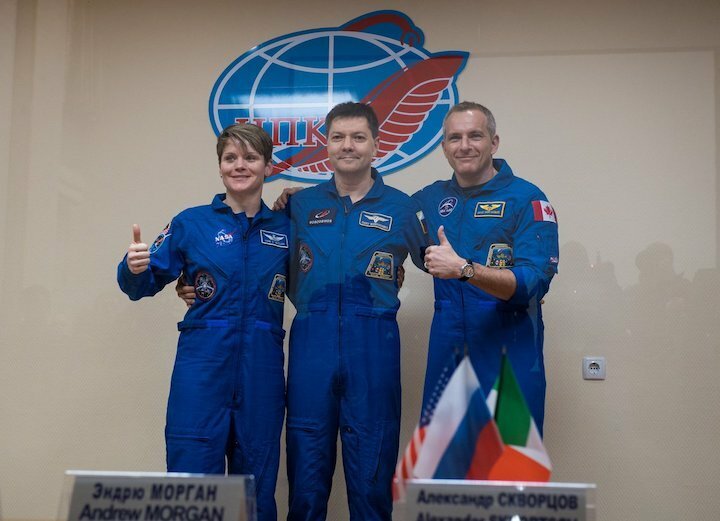 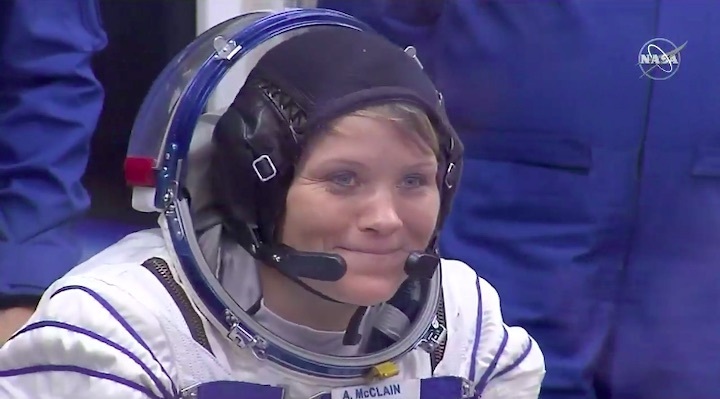 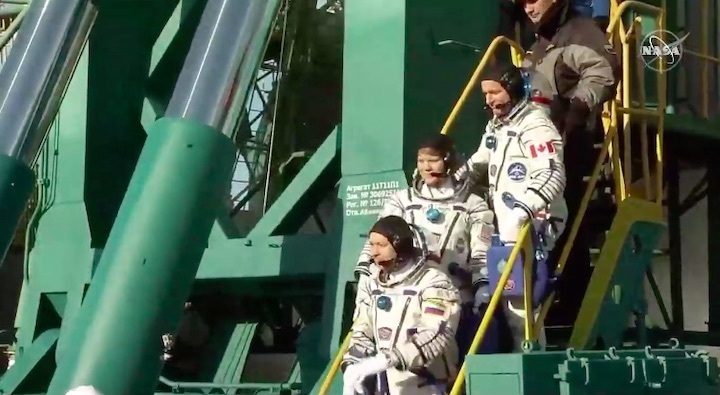 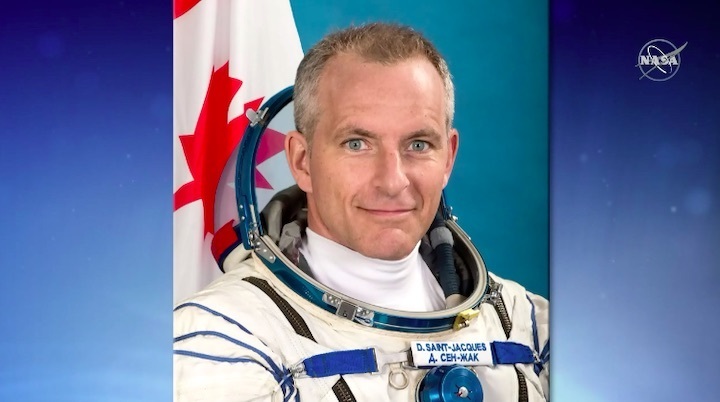 The new crew to be sent to the ISS onboard the Soyuz MS-11 manned spaceship are Roscosmos cosmonaut Oleg Kononenko, NASA and Canadian Space Agency astronauts Anne McClain and David Saint-Jacques. 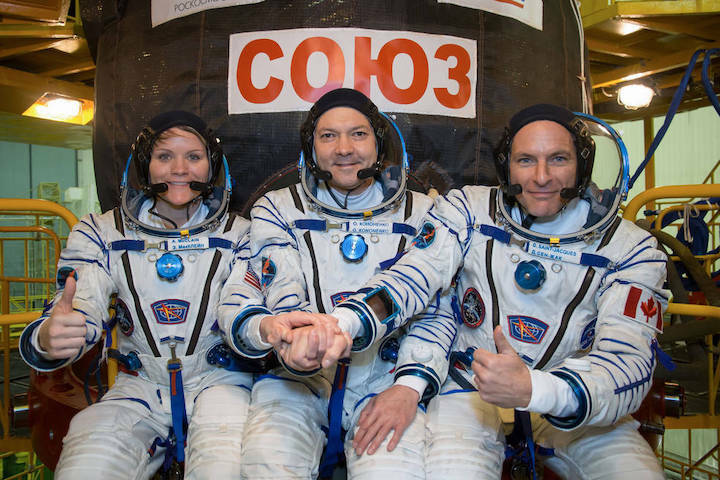 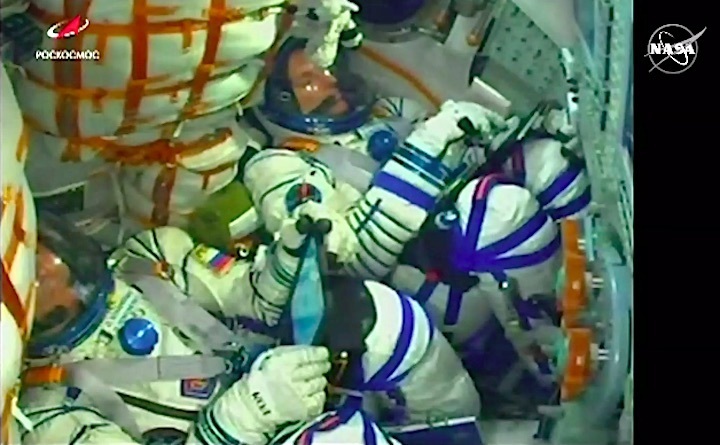 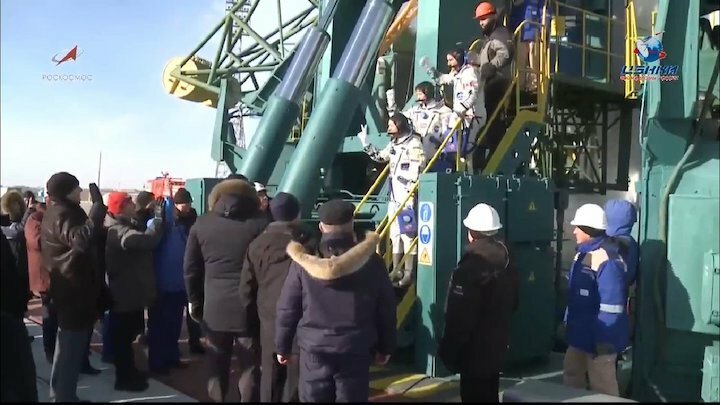 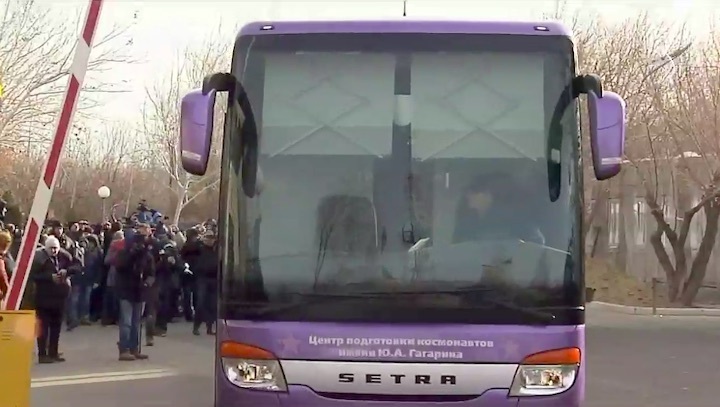 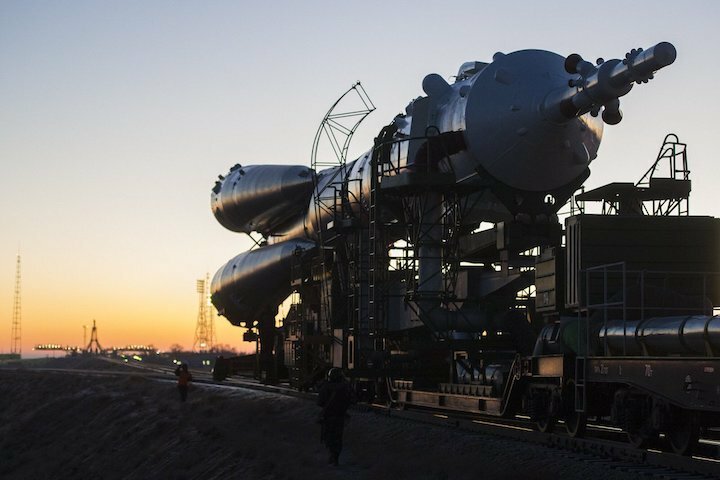 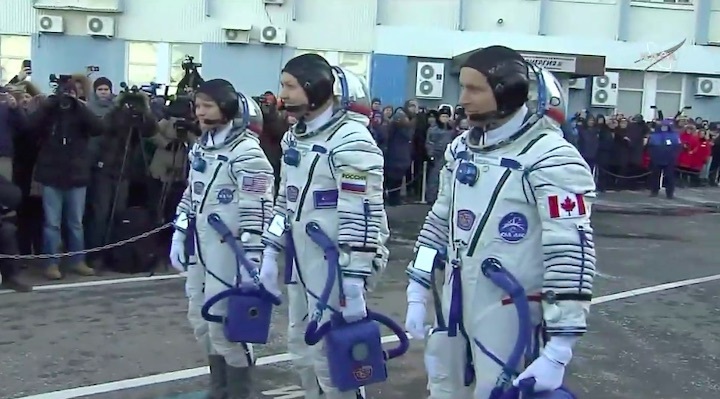 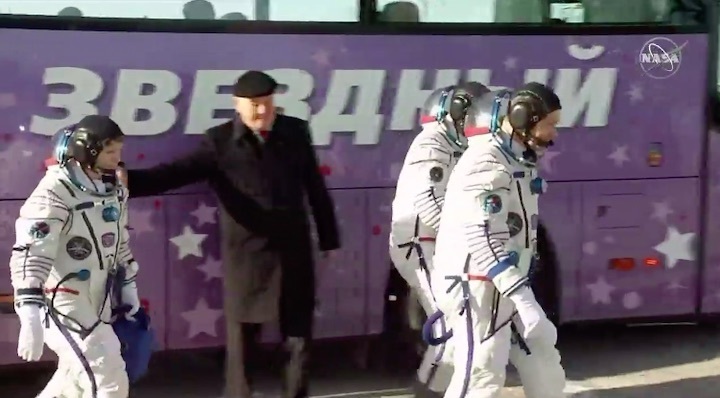 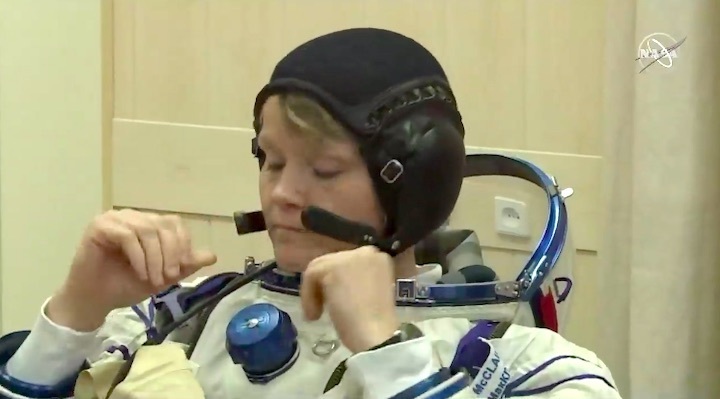 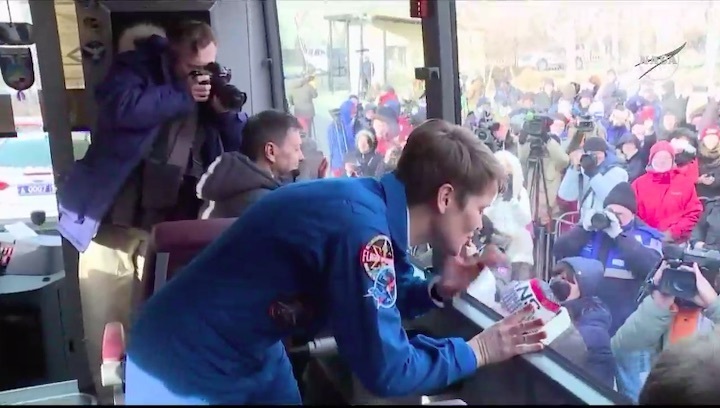 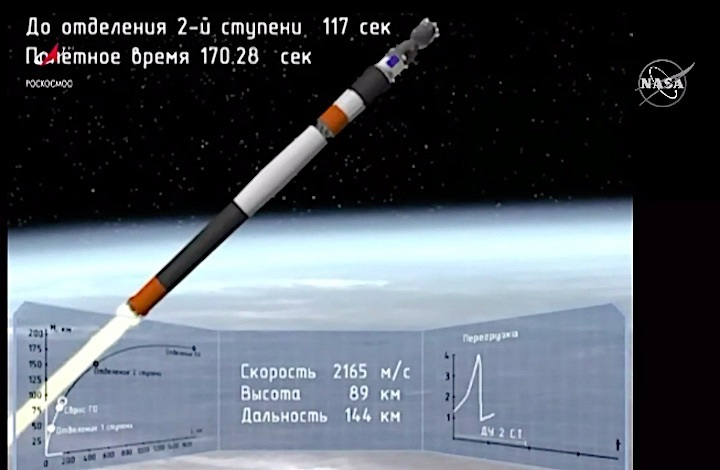 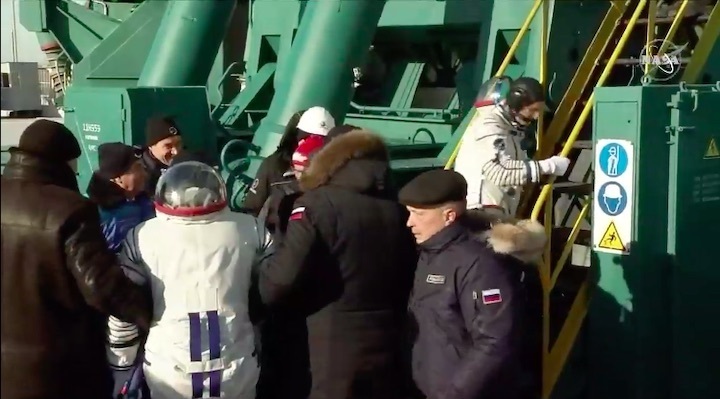 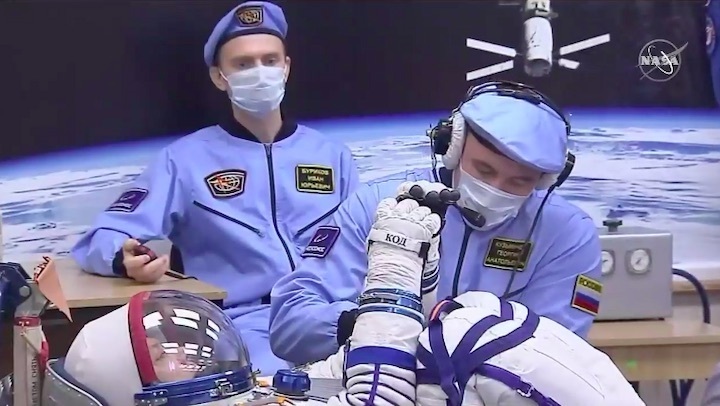 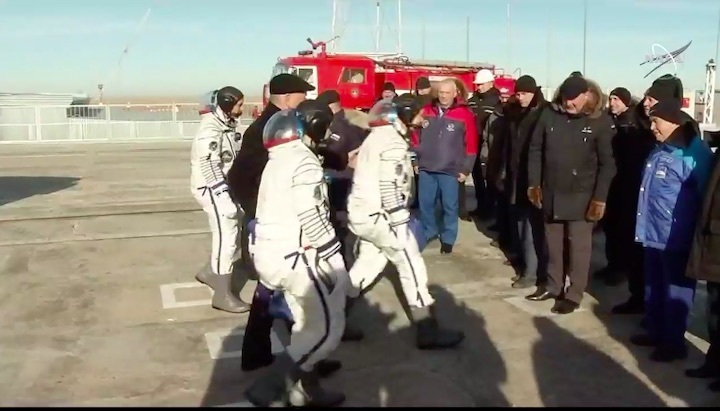 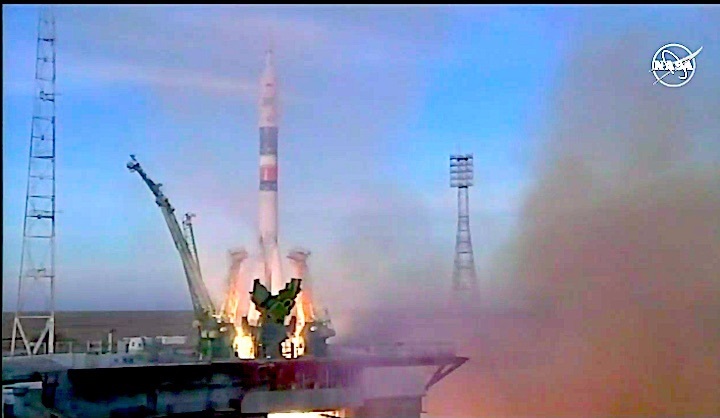 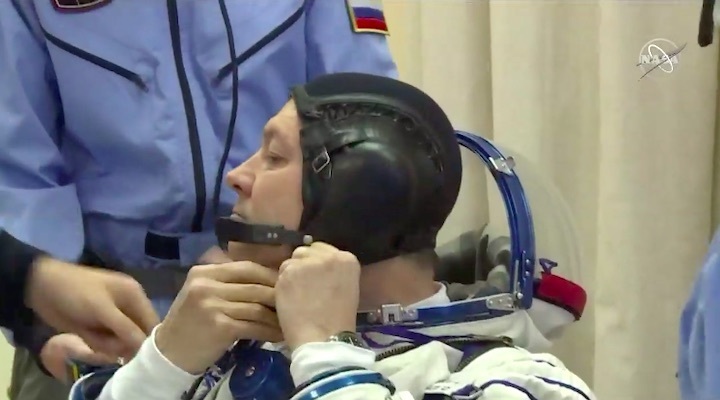 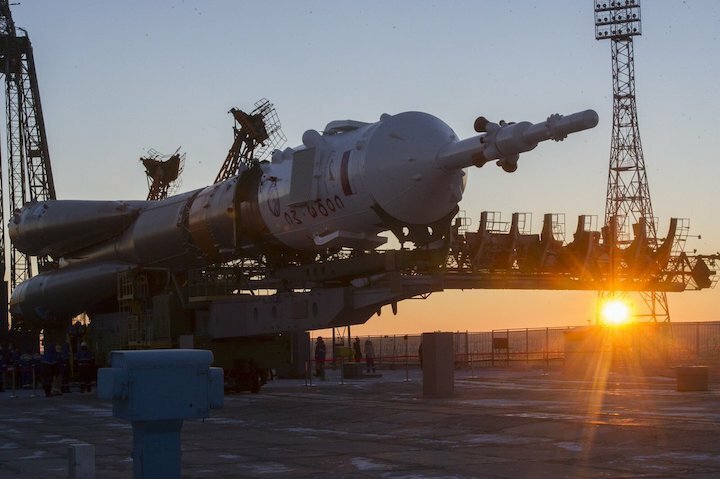 Their flight was originally scheduled for late December but was rescheduled for December 3 due to the abortive launch of the Soyuz-FG carrier rocket. 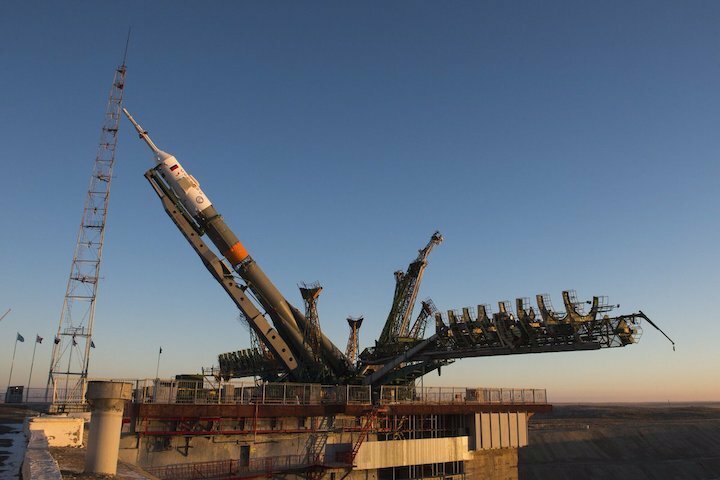 A new crew of the International Space Station (ISS) is scheduled to dock with the orbital outpost some six hours after the blast off from the Baikonur Cosmodrome on the afternoon of December 3, a spokesperson for Russia’s State Space Corporation Roscosmos told TASS on Monday. 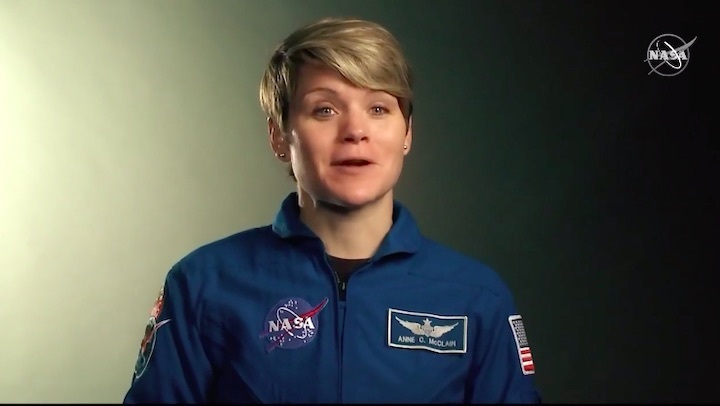 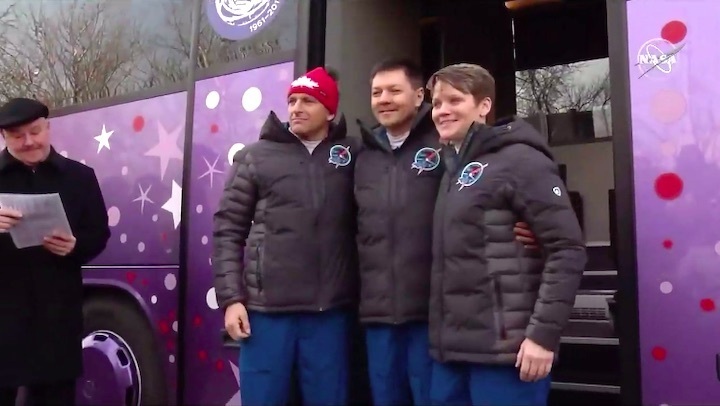 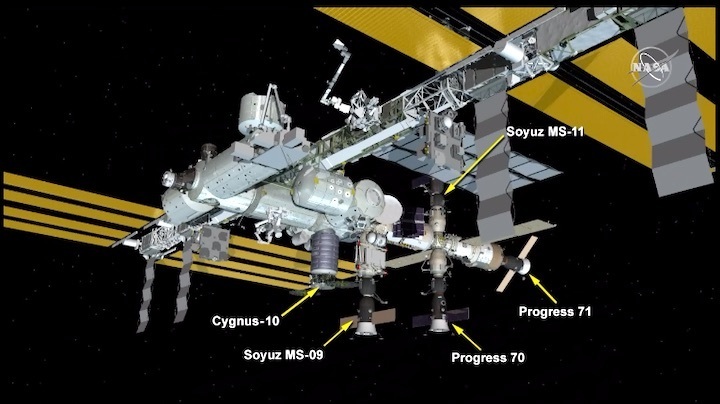 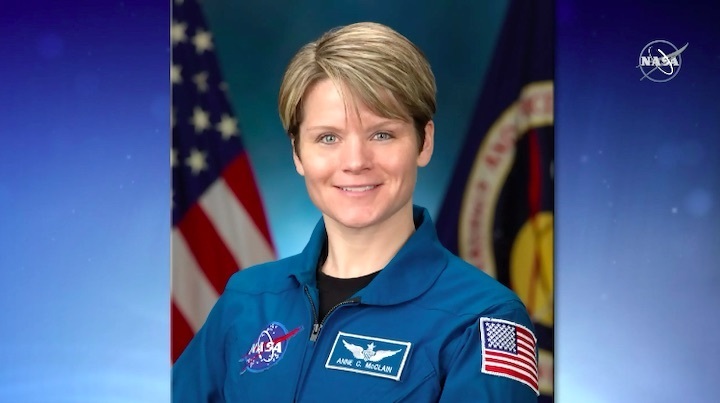 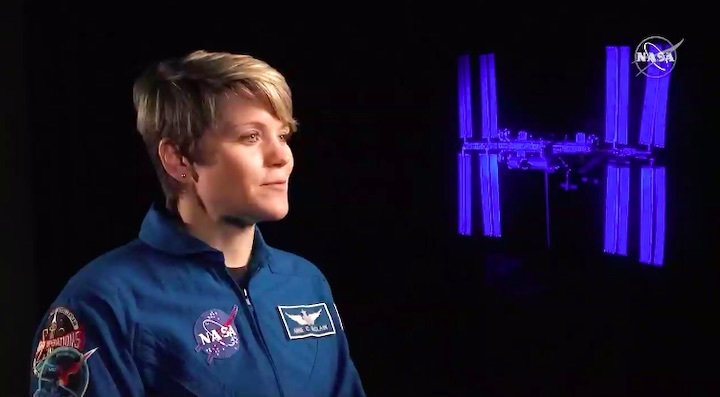 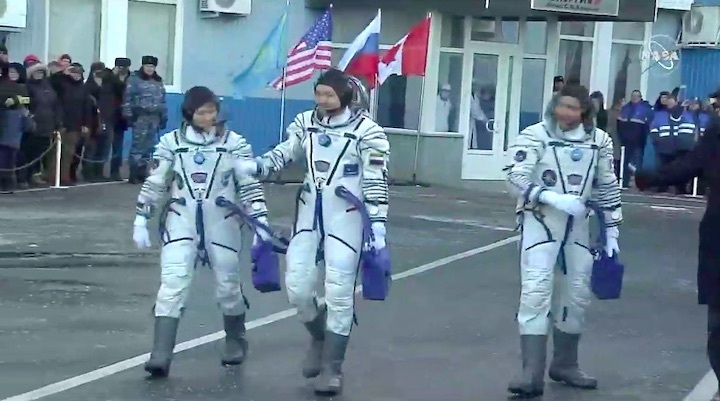 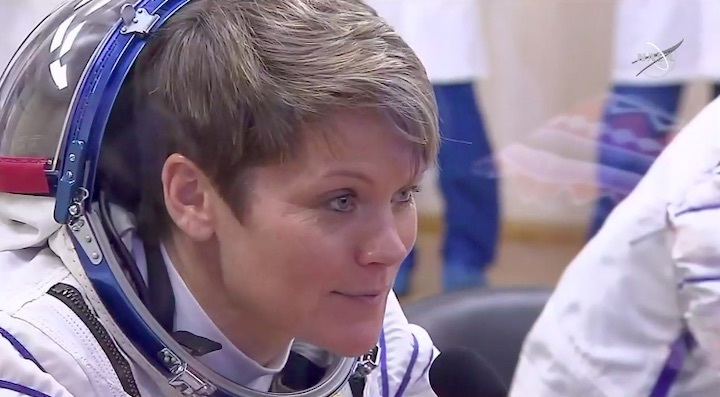 ISS Expedition 58 members Anne McClain of NASA, Oleg Kononenko of Roscosmos and David Saint-Jacques of the Canadian Space Agency are scheduled to take off to the orbital station two weeks on board of Russia’s Soyuz MS-11 spacecraft. 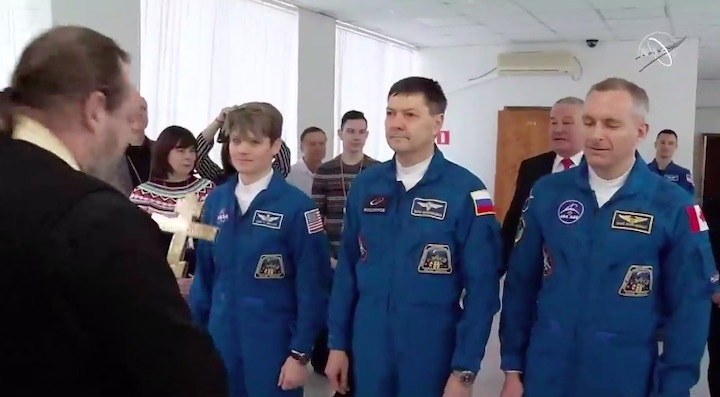 "This expedition’s flight route implies a short scheme," the spokesperson said. 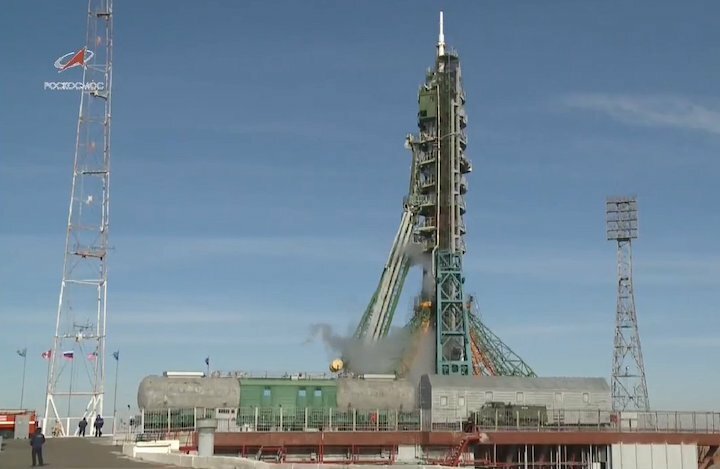 "The launch of the piloted Soyuz MS-11 spacecraft, which carries a new expedition, has been scheduled for December 3 at 14:31 Moscow time [11:31 GMT] and its docking with the ISS is expected later in the day at 20:36 Moscow time [17:36 GMT]." 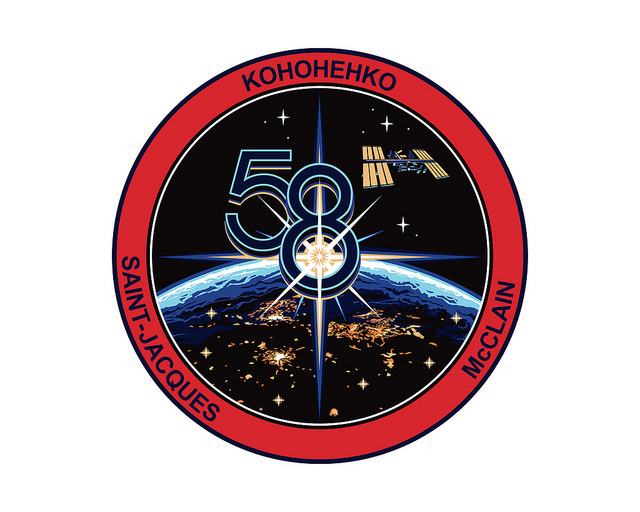 The crew of the ISS Expedition 58 had been initially scheduled to begin the mission in late December, but the date was changed after October 11 abortive launch of Soyuz MS-10 spacecraft, carrying to the ISS Russia’s cosmonaut Alexei Ovchinin and NASA astronaut Nick Hague. 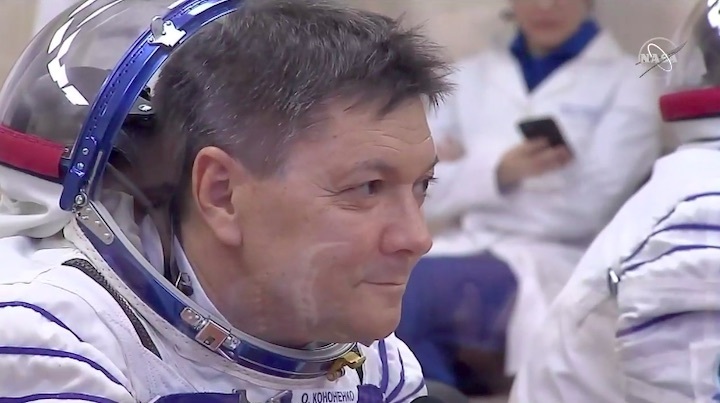 Cosmonaut Ovchinin and US astronaut Hague were to dock with the ISS on October 13, which meant two days after the take-off from the Baikonur space center in Kazakhstan. 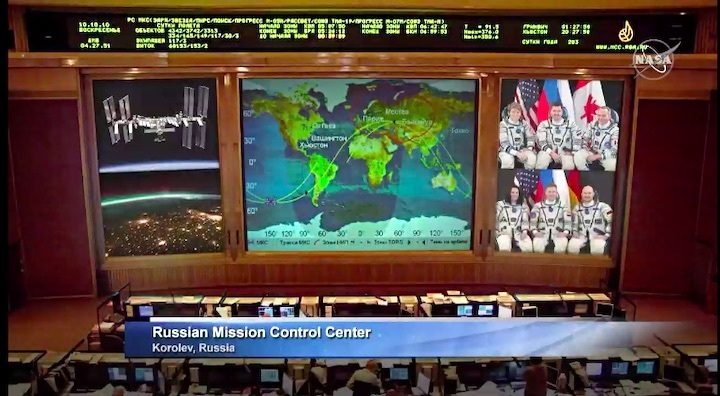 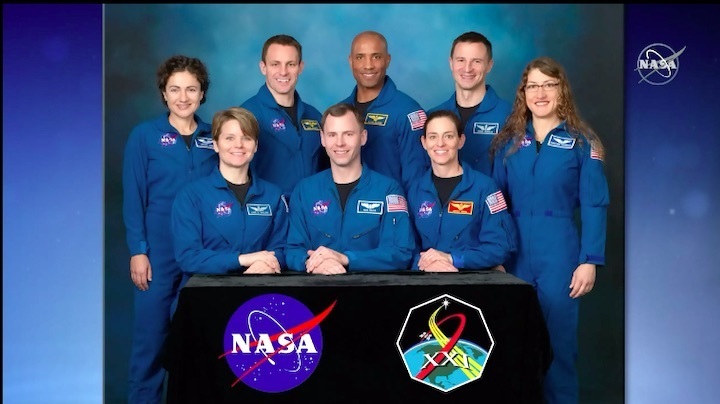 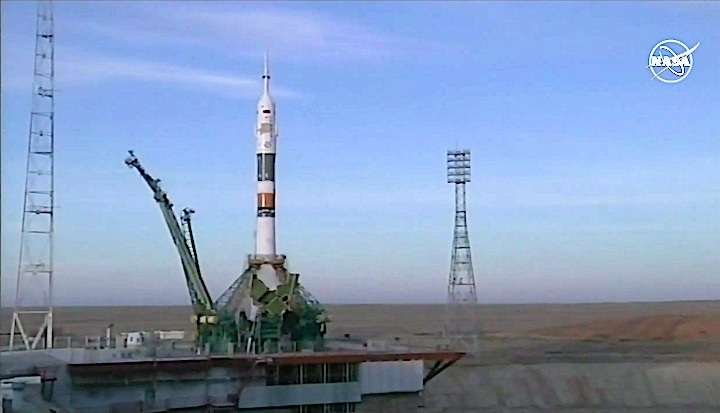 The crew of Expedition 58 is now expected to take the so-called ‘short route’ and dock with the ISS on the same day after the blast-off, exactly in a six-hour time. 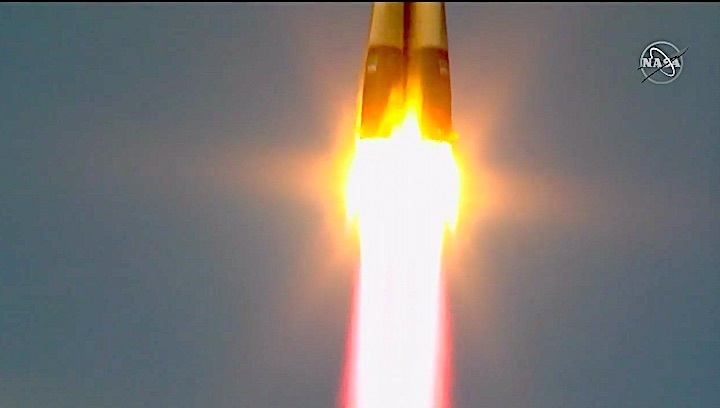 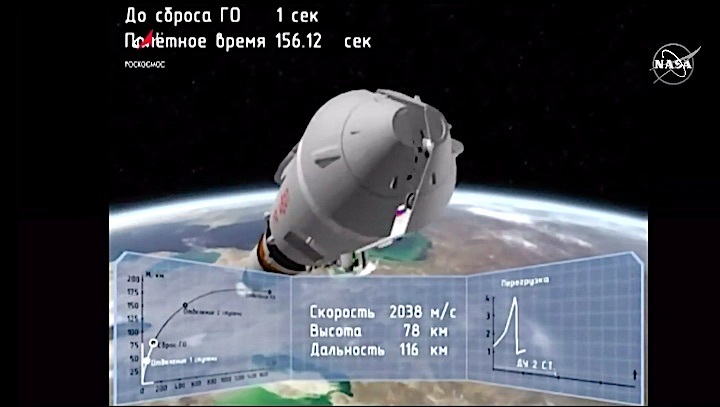 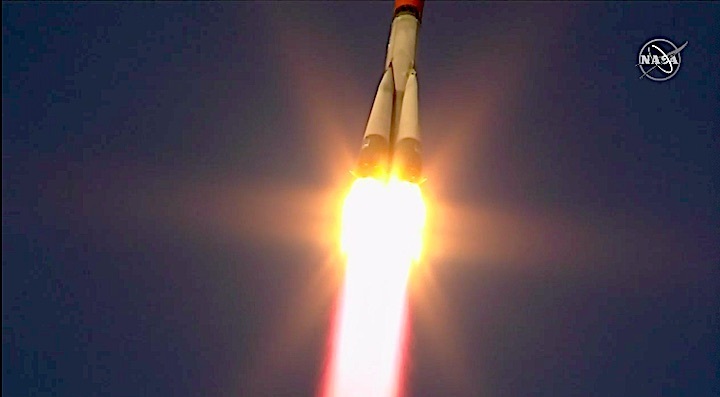 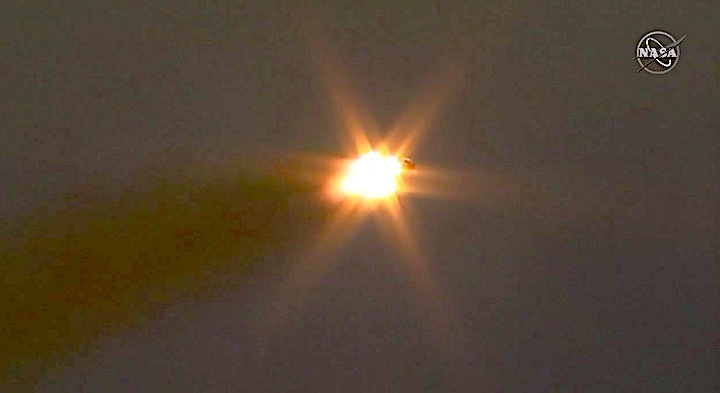 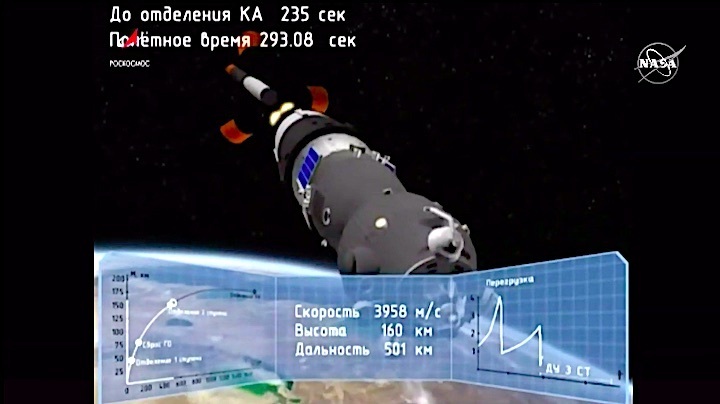 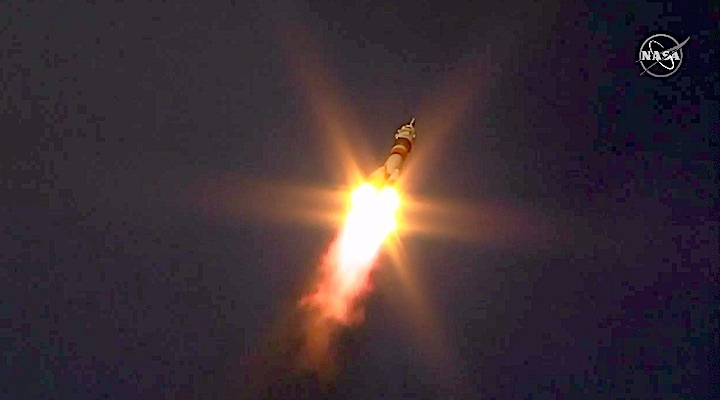 Following a smooth liftoff, the Soyuz’s booster malfunctioned between the first and second stages of separating, whereupon the crew was forced to abort the flight and switch to ballistic descent. 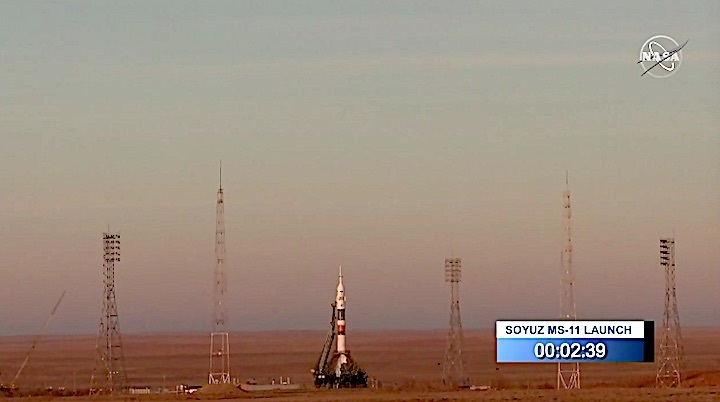 The manned Soyuz MS-10 spacecraft ended up landing in the Kazakh steppe. 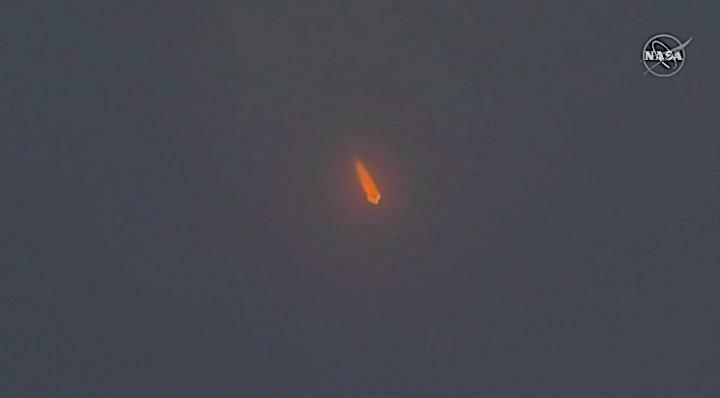 This was the first emergency landing with this type of carrier rocket over the past 35 years. 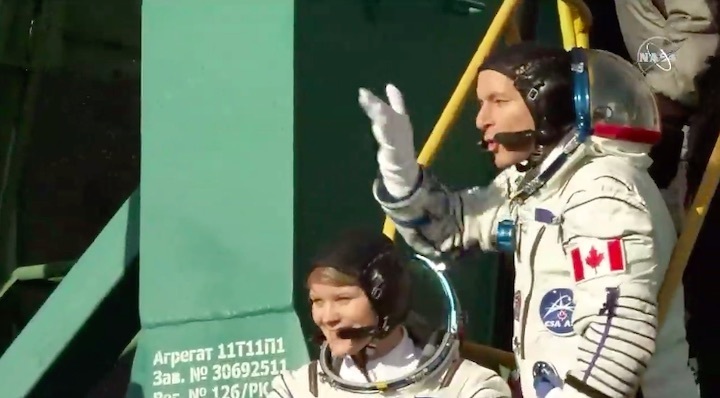 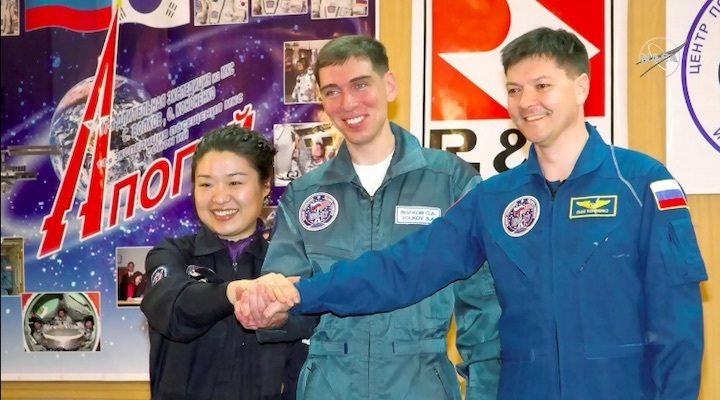 NASA astronaut Nick Hague, who returned to Moscow from the Baikonur spaceport on October 12 after the Soyuz booster’s failure, flew to the United States on October 13. 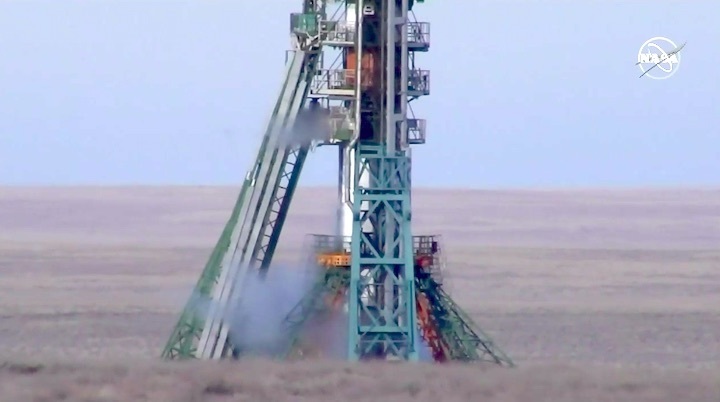 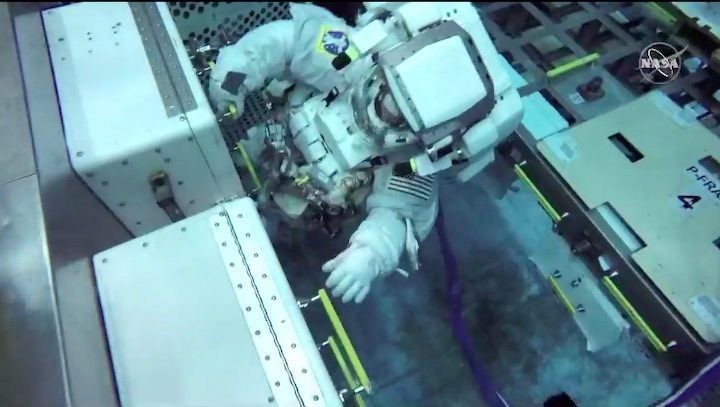 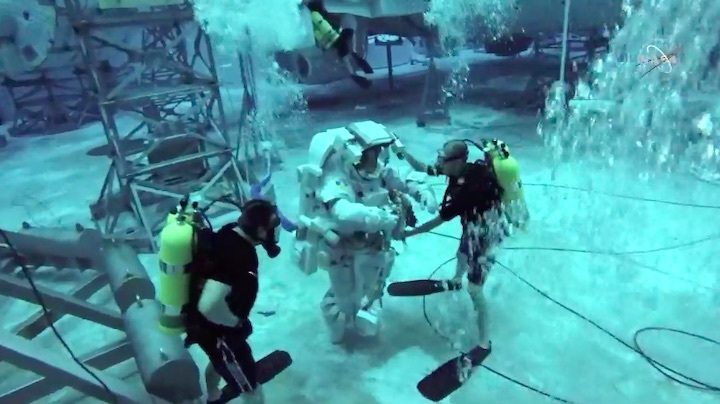 As the emergency commission announced on November 1, the incident occurred after the nozzle lid of the oxidizer tank did not open due to the deformation of the stages’ separation contact sensor. 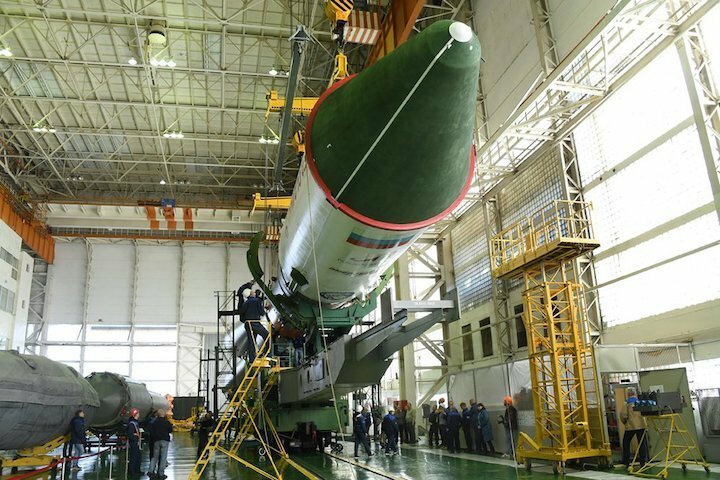 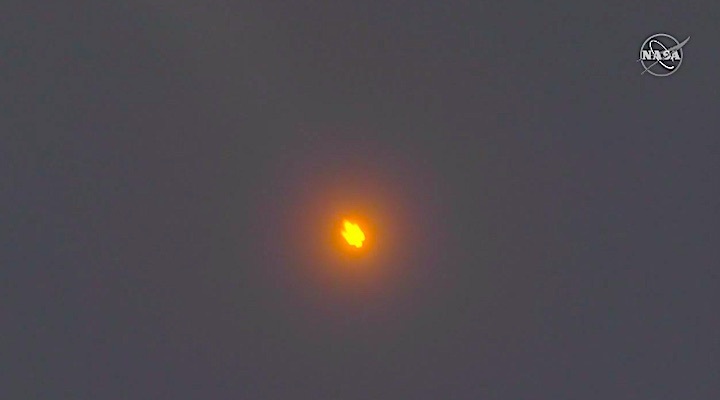 The sensor was deformed during the assembly of the ‘package’ of the rocket’s first stage at the Baikonur Cosmodrome. 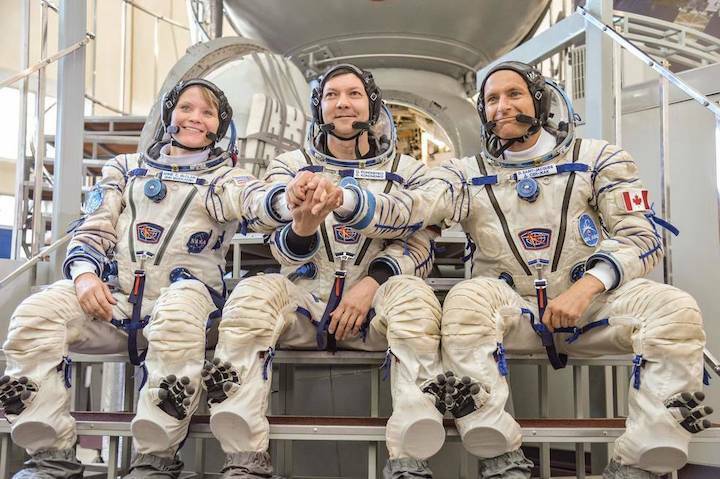 In the Integration Facility at the Baikonur Cosmodrome in Kazakhstan, Expedition 58 crew members Anne McClain of NASA (left), Oleg Kononenko of Roscosmos (center) and David Saint-Jacques of the Canadian Space Agency (right) pose for pictures Nov. 20 in front of their Soyuz MS-11 spacecraft. 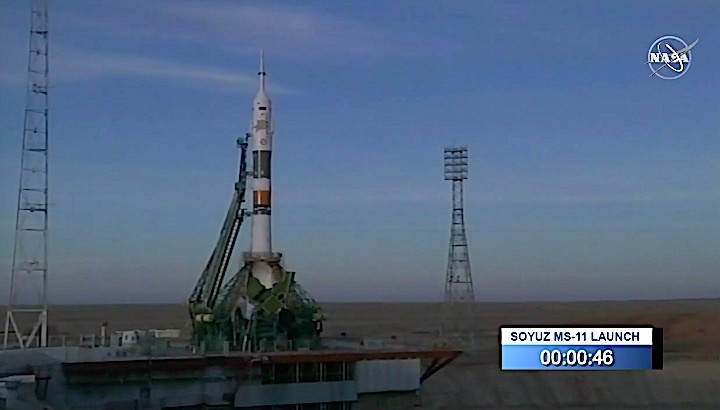 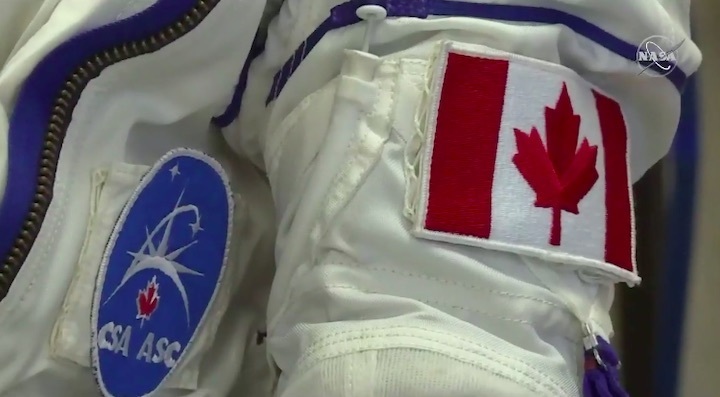 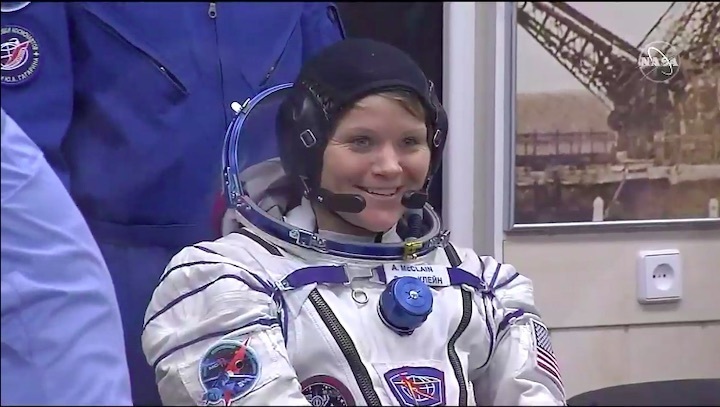 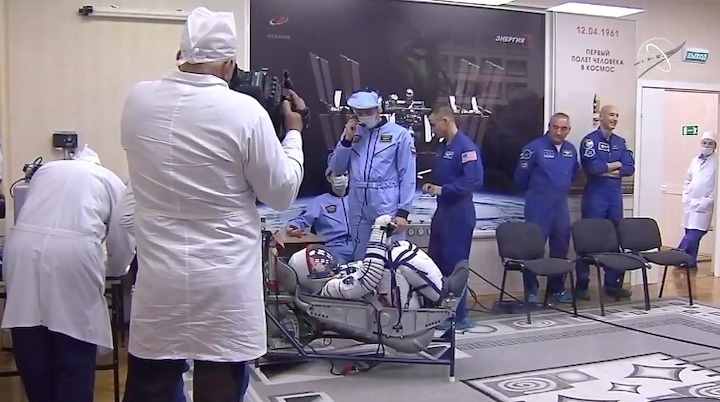 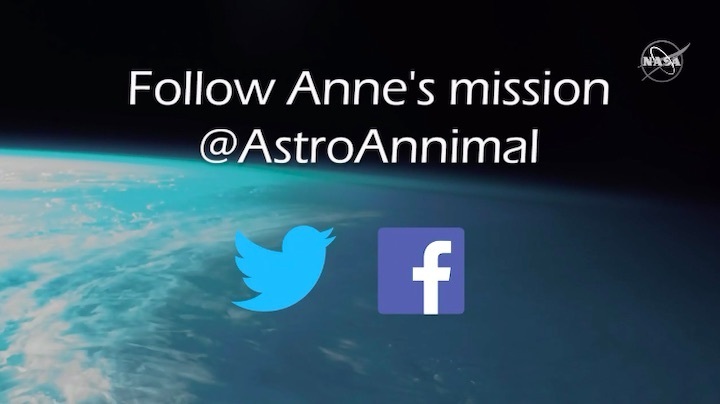 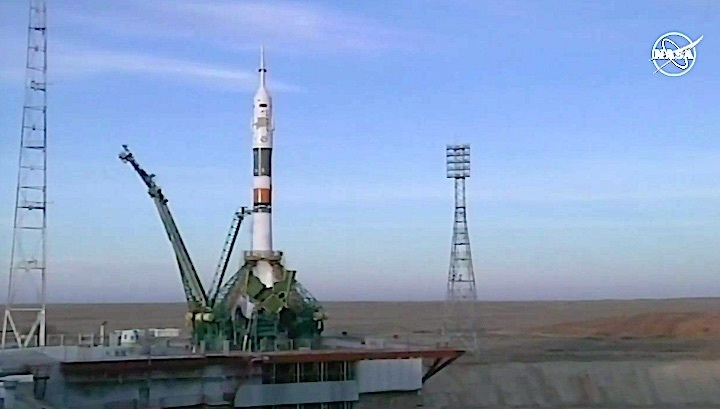 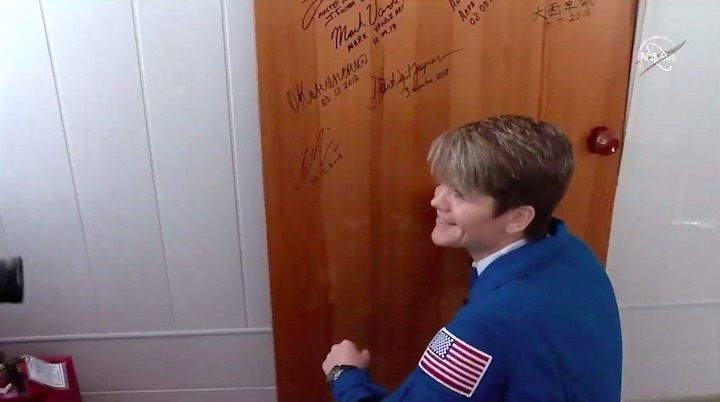 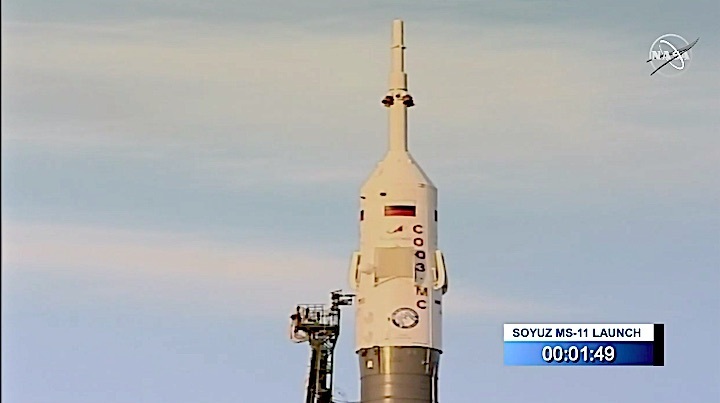 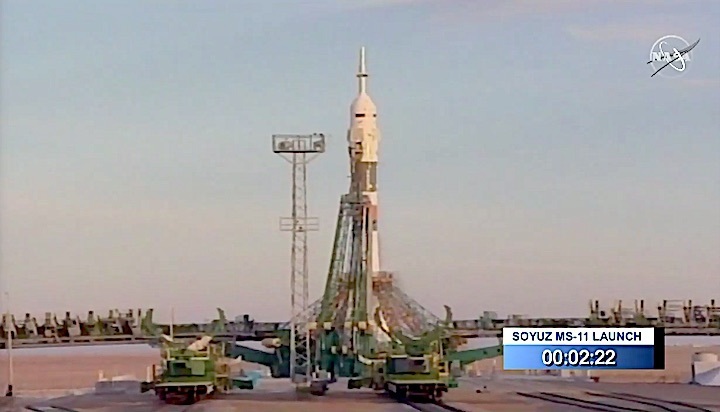 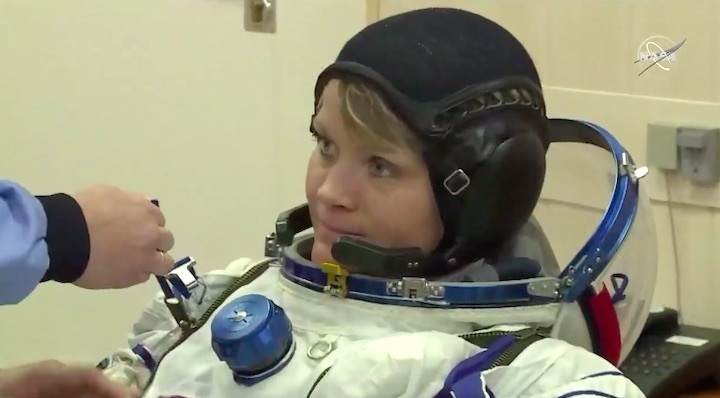 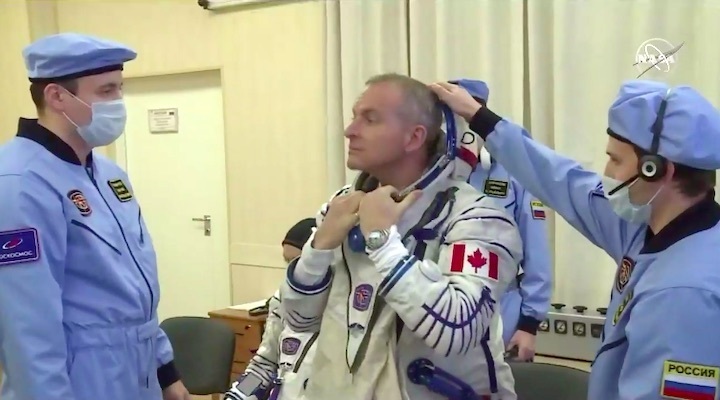 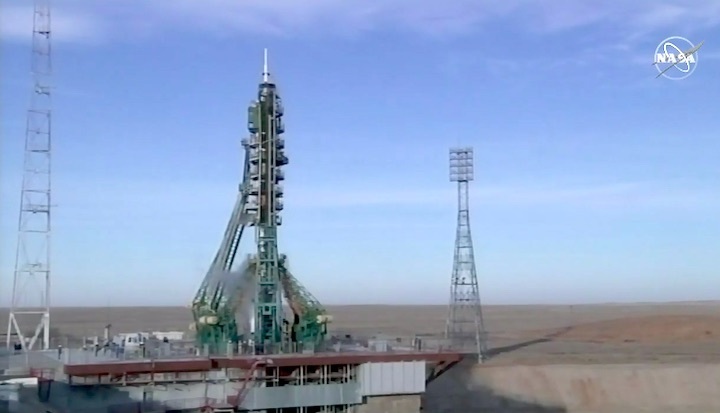 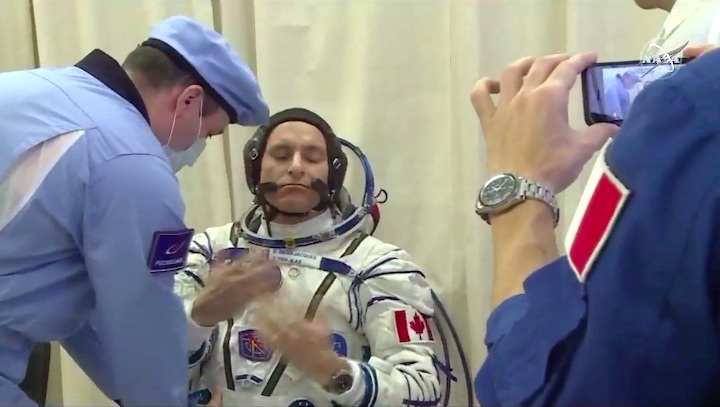 At the Baikonur Cosmodrome in Kazakhstan, Anne McClain of NASA, David Saint-Jacquesof the Canadian Space Agency, and Oleg Kononenkoof Roscosmos are preparing to launch aboard the Soyuz MS-11 spacecraft Dec. 3 at 6:31 a.m. EST (5:31 p.m. Kazakhstan time). 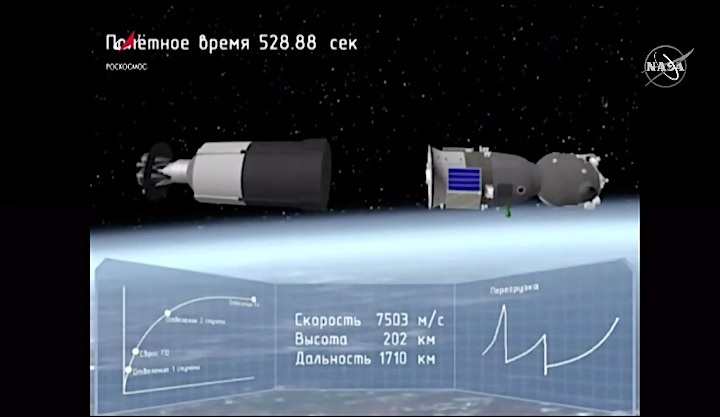 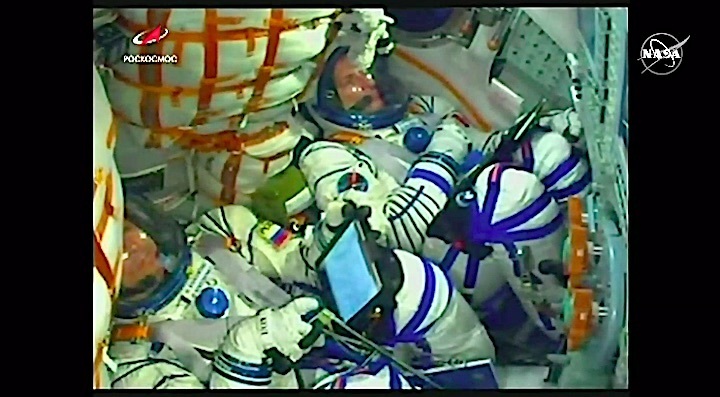 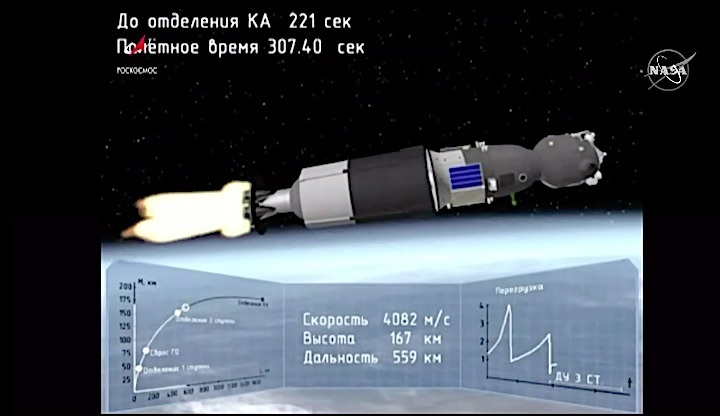 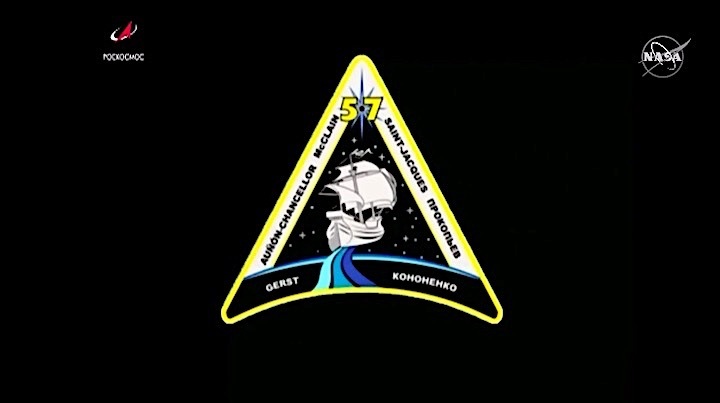 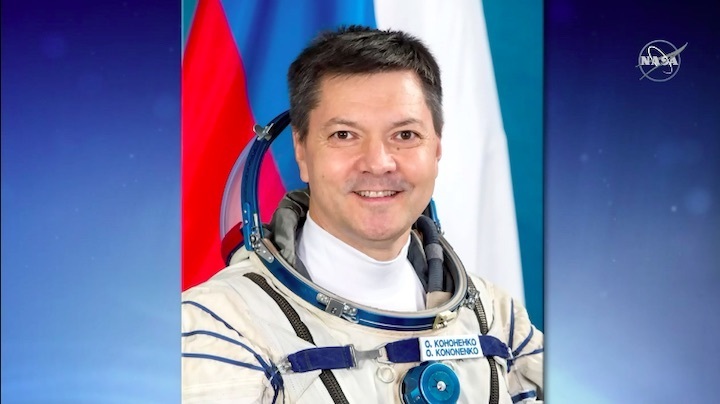 Less than two hours after docking, hatches between the Soyuz and the station will open, and the current crew, Expedition 57 Commander Alexander Gerst of ESA (European Space Agency), NASA Flight Engineer Serena Auñón-Chancellor and Roscosmos Flight Engineer Sergey Prokopyev, who have been in orbit since June, will greet them. 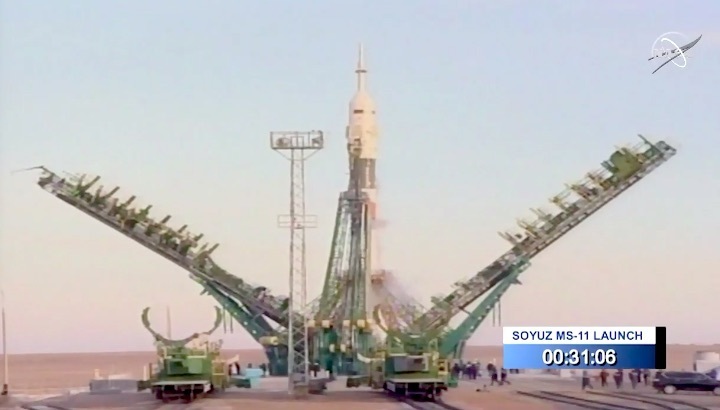 Sojus-FG-Trägerfahrzeug mit bemanntem Raumschiff Sojus MC-11 wurde aus dem Montage-und Testkorps entfernt und am Startplatz des № Kosmodals Baikonur installiert. 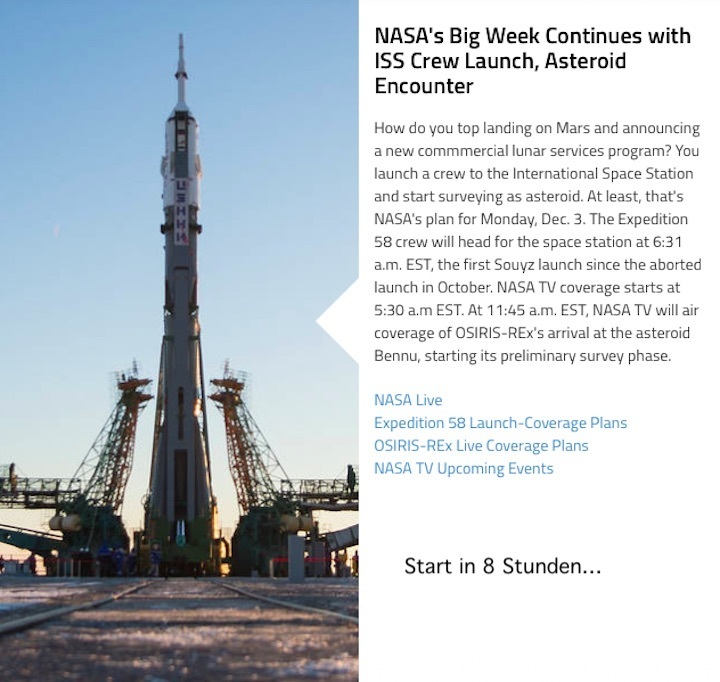 Der Start ist für 14:31 MSK am 3. 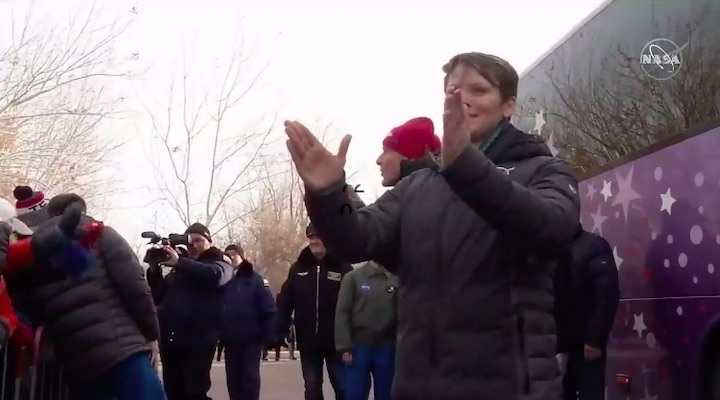 Dezember geplant.